Flight of the Conchords, Dave Chappelle, Demetri Martin and others take the Oddball Comedy & Curiosity Tour out for a drive. How did it fare in Dallas? 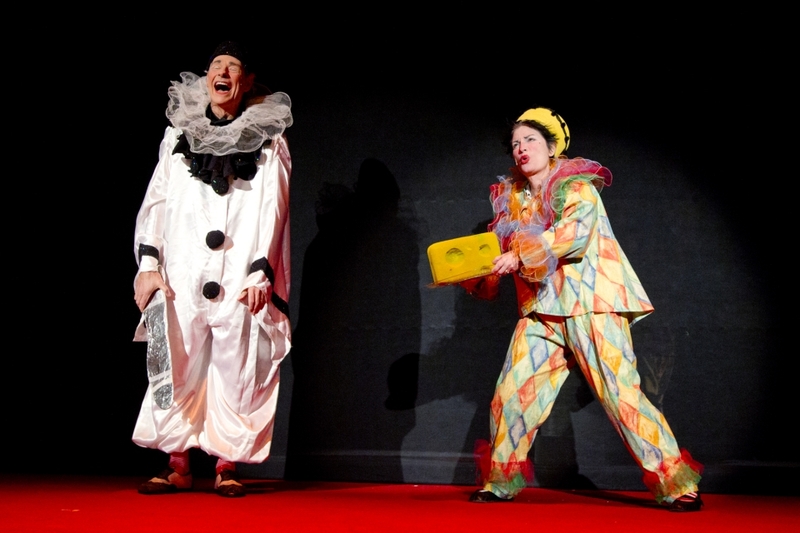 Comedy has officially hit the big time with the Oddball Comedy & Curiosity Tour. With the comedy creds of Funny or Die, a website that features thousands of comics and videos, and the rock tour savvy of Live Nation, the Oddball Comedy & Curiosity Tour is a first attempt to give comedy festivals the same ranking as rock in arenas. And it worked. Or so attested 20,000 people drawn to the Gexa Energy Pavilion on Sunday night. Like a Lollapalooza, the line-up was wildly varied, but cramming disparate fan bases into one arena creates the festival flair and makes for superb people-watching. The Dallas lineup ranged from the twisted absurdism of Kristen Schaal and intellectual surrealism of Demetri Martin, to the playful grittiness of Al Madrigal and profane urban comedy of Hannibal Buress and emcee Godfrey. The two headliners could not have been more different, with the Flight of the Conchords duo spinning witty musical universes of stage characters and stories, and Dave Chappelle being, well, Dave Chappelle. Rather than drawing from the comedy club ranks, the performers are all best known for television and film work, most notably the aborted Chappelle’s Show on Comedy Central and Flight of the Conchords two-season run on HBO. Though Burress and Madrigal have done extensive club time, Burress is a fixture on Adult Swim on the Cartoon Network and Madrigal’s best known as a regular correspondent on The Daily Show with Jon Stewart. Martin starred in the Comedy Central series Important Things with Demetri Martin. New York insiders know Schaal from her one-woman shows, but most remember her as the seemingly innocent psycho in various shows including Mel in Flight of the Conchords and Hazel Wassername on 30 Rock. With Gexa Energy Pavilion seating a few thousand in chairs and the rest in lawn seating, the grass crowd must get there early to claim their territory. Oddball accommodates them with a second stage opening two hours before showtime in the outdoor lobby plaza featuring regional comedians and hosted by the energetic Brody Stevens. Psychics and street performers were said to be part of the plaza proceedings, but none were seen. But you could buy a bottle of water for $4.50 and a beer for $9. But it’s incomprehensible why the 13-city outdoor comedy tour started in Texas in the heat of August, kicking off on Friday with Austin and then Houston. While the heat was a consistent topic for the sweat-drenched comedians on stage, it did not deter the fans who filled nearly every seat and every square inch of grass and were literally hanging from the back walls. Two giant video screens featuring exceptionally well-done camera work helped bring the show closer, but two even larger screens were not activated until the final Chappelle set, much to the grumbling of the grass crowd, many of whom could not see the stage at all. For a comic accustomed to much smaller venues, Demetri Martin did exceptionally well. He’s a new generation’s Steven Wright, spinning out surreal one-liners infused with a touch of Emo Philips’ warped innocence and Mitch Hedberg’s human perplexity. He is his own Socratic dialogue. The rock audience loved the routine on placing photos of missing children on the butts of young shapely women so they’d actually be seen, but jokes about silent letters in words sailed on by. Detecting a slump of interest from attendees, he moved into his musical routines with jokes accompanied by guitar and harmonica riffs. The final routine was classic Demetri, probably something he truly pondered: The advantage of a being a one-armed person when police arrest and try to handcuff you. 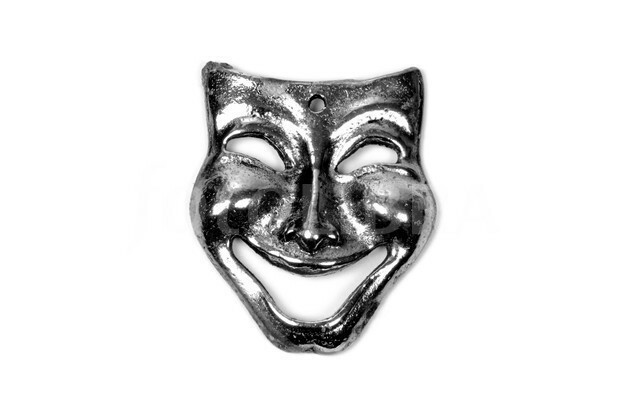 Conchord songs unfurl their surreal reality, taking us down the Conchordian rabbit hole. A father and son sing to each other, with the elder wailing about the hard life after his wife died and the son slowly revealing to a dad in denial the reality of mom’s flight to happiness with another man. Poignant, yet really funny. The same technique was used in a piece about two twenty-somethings trying to piece together a dating relationship neither remembered. For good reason—they never met. Just another Conchordian twist. After a punchy set from Godfrey, the appearance of Dave Chappelle was announced. The audience leapt to its feet and ear-splitting hip-hop music blared…and blared…and blared. People got bored, fiddled with smart phones, sat back down or wandered to the plaza. Evidently making you wait is Chappelle’s thing. A backlight blasted on, projecting a gigantic shadow of Chappelle on a stage scrim, and the set was finally on. He revealed that it was his first day being 40, with references to an all-out party the night before in Houston. The excess still lingered, with the comic wearing a long-sleeved shirt and sweating out the prior-evening all over the stage. The situation remains, as Chappelle has mentioned in prior shows, that he’s got 10 minutes of material to fill out a 40-minute set. But those 10 minutes can be gasp-inducing and capable of inspiring howls of laughter. 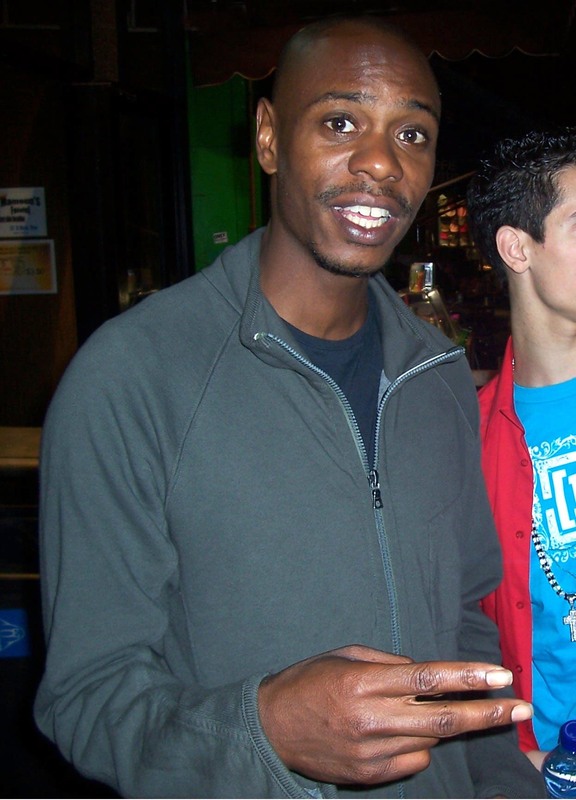 Should Chappelle ever get around to forging a real set, it would be difficult for fans to get through without doing themselves bodily injury. Nobody talks race better than Chappelle. Great fantasy routine on Paula Deen as his private chef, and an interesting, albeit dated, tie-in of that to the onstage, N word-infused meltdown by Michael Richards (a.k.a. Kramer): “I’ve had some bad nights, but I’ve never had to meet with Jesse Jackson afterward.”He mused about films, contrasting Lincoln—“A movie about slavery without black people”—with Django Unchained. He pointed out the racial overtones in Planet of the Apes: “I think we’re all uncomfortable with an ape named Cornelius.”He bemoaned the timing of his taking flight just as a black president came on the scene: “Hours of comedy you’ll never hear.”But mostly he ricocheted between references to fleeing the exceedingly lucrative Chappelle’s Show, the adventures of his entourage, and the domesticity of being married and raising children. The centerpiece was a unique routine on Oscar Pistorius, “An African child born footless, who strove to overcome all odds and achieve greatness,” but is now in jail for shooting his girlfriend dead through a closed bathroom door. In addition to the irony that Pistorius was born white in South Africa, it was no morality tale. Instead it was a mirrored reflection by Chappelle—raised by middle-class professor parents—on humans’capability to be solely responsible for their own downfall. But from there the already rambling set took a dive with an impromptu sketch about cowboys, salvaged only when a harmonica-playing member of his entourage broke from the plot, as it were, and started playing “Happy Birthday.” Shortly after Chappelle announced he’d be fined $5,000 for every minute he went over time and suddenly he was gone. The audience disseminated without the usual animated post-show chatter: hot, tired and, at the end, a bit unfulfilled. 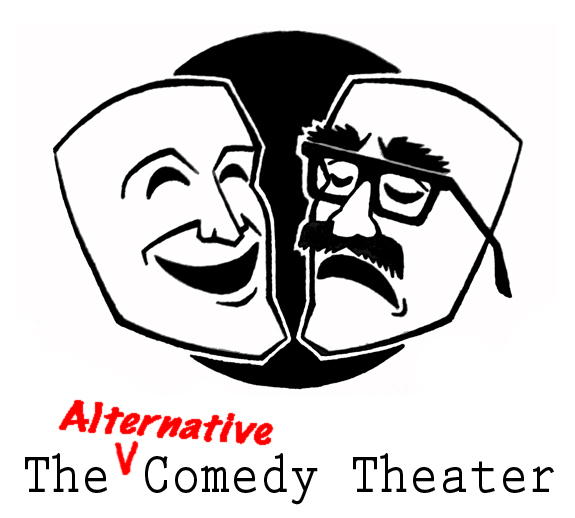 Alternative Comedy Theater: Comedy Central?